If you're expecting to buy laptops with Intel's next-generation Core chips code-named Cannonlake chips by the end of this year, you may be disappointed. There's a chance that shipments of Cannonlake -- Intel's first on the 10-nanometer production process -- may slip into next year. 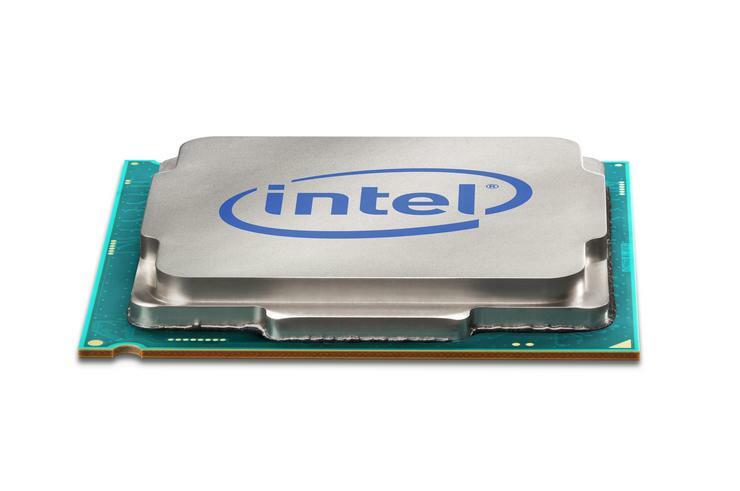 Intel previously said Cannonlake would ship by year end, but that's now uncertain. Whether Cannonlake shipments will happen before or after Christmas is hard to predict, Venkata Renduchintala, president of Intel's PC, IoT, and chip design businesses, said earlier this week at an Intel manufacturing event. "In terms of first shipments, whether it's before the end of the year, or just after the beginning of [next] year, it's too close to call," Renduchintala said. Intel will still deliver Cannonlake to PC makers within an appropriate timeframe, and there is no "perturbation in launch trends," Renduchintala said. The first Cannonlake chips will be targeted at low-power laptops and 2-in-1s. PC makers typically need time to test the chips in laptops, so availability of the chips in mainstream PCs may drag into 2018. So don't expect Cannonlake laptops during this year's holiday season. Instead, users will be able to get PCs with 8th Generation Core processors, which are made on the 14-nm process. PCs now are available with 7th Generation Core processors code-named Kaby Lake. Those 8th Generation Core laptops may be more attractive to customers.Â The first 10-nm Cannonlake chips will be slower than 14-nm 8th Generation Core processors. Intel acknowledged the speeds during the manufacturing event, with a chart showing 10-nm chips catching up with 14-nm chip performance in one to two years. In theory, the 10-nm chips should be faster than the 14-nm chips. But the first low-power Cannonlake chips will have fewer transistors, and won't be comparable to the mature 14-nm chips with more transistors. But Cannonlake is expected to beat its low-power Kaby Lake predecessors -- which also have fewer transistors -- on performance. Cannonlake could replace low-power Core M/Y Kaby Lake chips, which are targeted at lightweight laptops and 2-in-1s. By the time Cannonlake ships, it will be competing with AMD's Zen-based chip code-named Raven Ridge, and Qualcomm's ARM-based Snapdragon 835, which will be introduced in low-power Windows 10 laptops and hybrids later this year. The branding of Cannonlake chips hasn't been finalized. But they won't be part of the 8th Generation chip lineup, and will have a separate branding, Intel has said. That could create confusion among PC buyers. In the past, Intel has first upgraded PC chips to new architectures. But as the PC market flattens and the server market grows, Intel is switching priorities and giving server chips first dibs on architectural upgrades. Cannonlake could be the first step in that transition. "I don't necessarily think our Core generations are going to be synchronized necessarily with process node evolutions that may happen or may not happen," Renduchintala said. Intel once took pride in advancing manufacturing alongside chip architectures, but that's now less of a priority for the company. The 8th Generation Core processors will be the unprecedented fourth chip architecture on the 14-nm process. Intel has typically advanced chips two times with each manufacturing process, which became known as the "tick-tock strategy," but making chips smaller has become challenging.